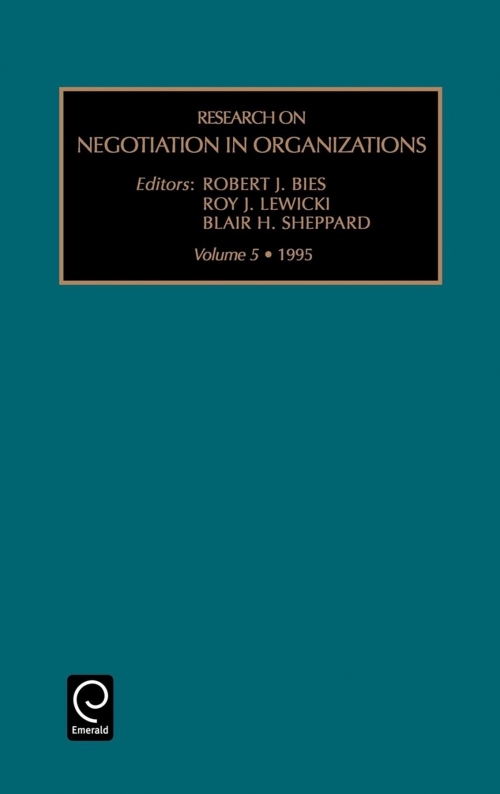 This fifth volume in the series discusses such topics as the effects of relationships and context among relative equals, paranoia and distrust in organizations, and perspective competition in a collaborative context. Part 1 Effects of relationships and context negotiating in long-term mutually interdependent relationships among relative equals, Blair H. Sheppard; Justice as rationality: a relational perspective on fairness in negotiations, Thomas M. Tripp et al; Friends, lovers, colleagues, and strangers: the effects of relationships on the process and outcome of dyadic negotiation, Kathleen H. Valley et al; Alternative models of negotiated outcomes and the nontraditional utility concerns that limit their predictability, Sally Blount et al. Part 2 Trust and distrust power, paranoia, and distrust in organizations: the distorted view from the top, Roderick M. Kramer; When do employees choose deceptive tactics to stop unwanted organizational change? 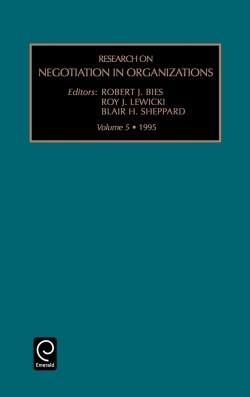 a relational perspective, Debra L. Shapiro et al; On the positive effects of legalization on trust, Sim B. Sitkin; Transactions costs in organizations with trust, Philip Bromiley and Larry L. Cummings. Part 3 In search of perspective competition in a collaborative context: toward a new paradigm, Leonard Greenhalgh.